Entrepreneurial Leaders Organization - Keynote Speaker: Richard Blackaby - “The Disciplines of Spiritual Leadership"
Topic: “The Disciplines of Spiritual Leadership: Knowing and Doing the Will of God in the Marketplace." 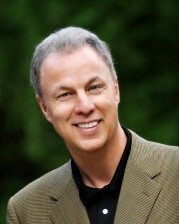 Richard Blackaby is the president of Blackaby Ministries International and lives in Atlanta, Georgia. Richard travels internationally speaking on spiritual leadership in the home, church, and marketplace as well as on spiritual awakening, experiencing God, and the Christian life. Richard regularly ministers to Christian CEOs, church, and family leaders. Richard has written or co-authored thirty-five books, including: The Seasons of God: How the Shifting Patterns of Your Life Reveal His Purposes for You; The Inspired Leader: 101 Biblical Reflections for Becoming a Person of Influence; Unlimiting God: Increasing Your Capacity to Experience the Divine; Putting a Face on Grace: Living a Life Worth Passing On; Experiencing God at Home, Rebellious Parenting, Living Out of the Overflow: Serving Out of Your Intimacy with God, Spiritual Leadership Coaching: Connecting People with God’s Heart and Purposes, and Developing a Powerful Praying Church. He has also co-authored many books with his father, Henry, including: Experiencing God: Revised Edition; Spiritual Leadership: Moving People on to God’s Agenda; Experiencing God: Day by Day; Hearing God’s Voice; Called to Be God’s Leader: Lessons from the Life of Joshua; Being Still With God: A 365 Daily Devotional; Fresh Encounter: God’s Pattern for Spiritual Awakening; God in the Marketplace: 45 Questions Fortune 500 Executives Ask about Faith, Life, and Business and Flickering Lamps: Christ and His Church. Richard grew up in Saskatoon, Saskatchewan, Canada. He has been married to Lisa for 35 years and has three kids. Richard earned a B.A. in history from the University of Saskatchewan. He has an M.Div and Ph.D. in church history from Southwestern Baptist Theological Seminary and an honorary doctorate from Dallas Baptist University. Ray Pennings - "Private Business, Public Faith"
Keynote Speaker: Richard Blackaby - “The Disciplines of Spiritual Leadership"